We’re almost 50 years on from the original release of Paul Mazursky’s Academy Award nominated film, and it’s really interesting to consider how it plays to an audience half a century later. In some respects the time-shift has done it no favours as the costumes, characters and themes read now as a parody of the late Sixties instead of the more subversive effect the subject matter must have had on viewers of a different generation. Bob (Robert Culp) and Carol (Natalie Wood) return from a visit to a free-thinking relationship therapy retreat, having experienced the revelation that the most important thing in their marriage should be honesty – and they determine to stop hiding their feelings from each other. They try to persuade their friends Ted (Elliot Gould) and Alice (Dyan Cannon) to join in with their new-found approach to relationships, but the pair remain unconvinced. Things begin to change however when first one, and then more of the quartet have an extra-marital relationship, and their mantra of ‘trust is beautiful’ becomes severely tested. Natalie Wood is perhaps the best she’s ever been in a role designed to be honest without entering the realms of naivety, whereas Robert Culp just edges the wrong side of sleazy – possibly deliberate, but uncomfortably so to my 21st century eyes. However it’s Elliot Gould and Dyan Cannon who give the standout performances as they hover on the brink of joining in but are perhaps just a little bit too laced-up. 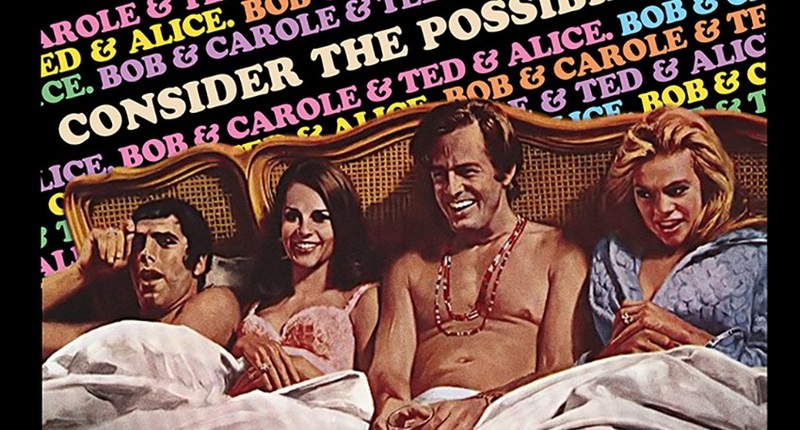 The scene in which all four share a bed together, famous from publicity material,actually plays out differently than I had imagined it would, and in fact would have been a fitting end to the narrative. What is in reality the final scene is something more reminiscent of Fellini’s 8 ½ and seems a strange conclusion with even a documentary feel. The Arrow Academy Blu-Ray special edition is a new restoration featuring two audio commentaries – one by the director and actors (minus Natalie Wood) and one from film expert Adrian Martin; a new video essay on the film’s themes by filmmaker and critic David Cairns; and an archival interview with Paul Mazursky on the film’s production and release.